Gym clothes just keep getting trendier and trendier. Thanks to the latest in stylish workout gear, we soon won't even need to change between post-work yoga and heading out for drinks with friends. Want a super-cute way to tote those fabulous workout essentials? Try this gym bag that looks like an Hermés Birkin by the company GymTote. GymTote is a London-based line founded by two women who were tired of lugging multiple bags to the gym (ugh, isn't everyone). The brand offers a small selection of elegant carryalls with different compartments designed to hold sneakers, workout clothes, and a water bottle, along with everyday essentials. So far they offer only two styles — the color blocked "Reese" and the "Eva," which looks just like a classic Birkin (without the excruciating price tag). The "Eva" is an everyday purse with hidden storage that allows you to covertly tote around your workout gear while maintaining a chic, fashionable silhouette. 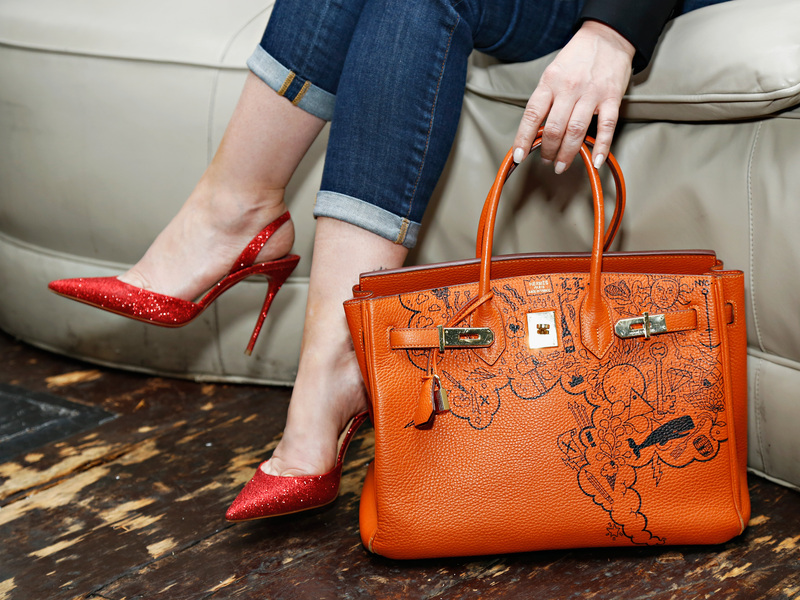 At approximately $250, it's likely you'll be able to afford it way more easily than you would a coveted Birkin. Plus you'll never roll out of SoulCycle looking like a hot mess ever again! Women who own Birkin's don't sweat, duh. GymTote has a third style and a line of men's products in the works. Let the gym fashion revolution rage on!